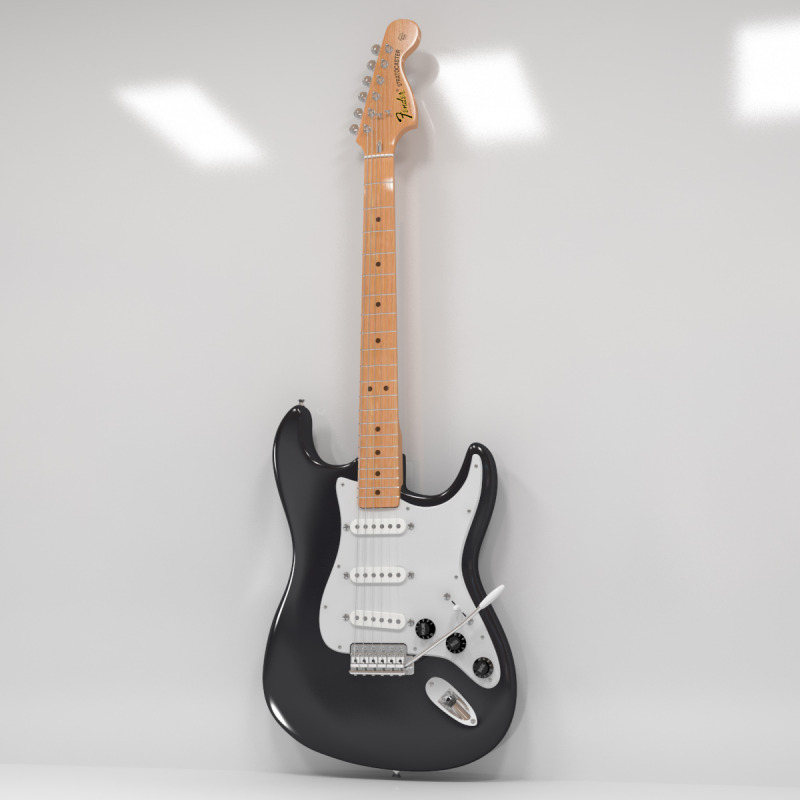 Fender Stratocaster 3D Model was made in 3ds Max 2010 and is fully compatible with V-Ray 2.0. Guitar 3D Model is extremely accurate and very detailed. This allows for excellent close up shots. Legal Notice: The intellectual property depicted in this model, including the brand "fender", is not affiliated with or endorsed by the original rights holders.